There’s a lot of cool stuff going on at TechHub on a daily basis, but when we received an invite to host the press launch of Amazon’s new series of Mr Robot, we got pretty excited. For anyone that hasn’t seen Mr Robot, it’s a TV show about a young computer programmer who works as a cybersecurity engineer during the day, but at night is a vigilante hacker. 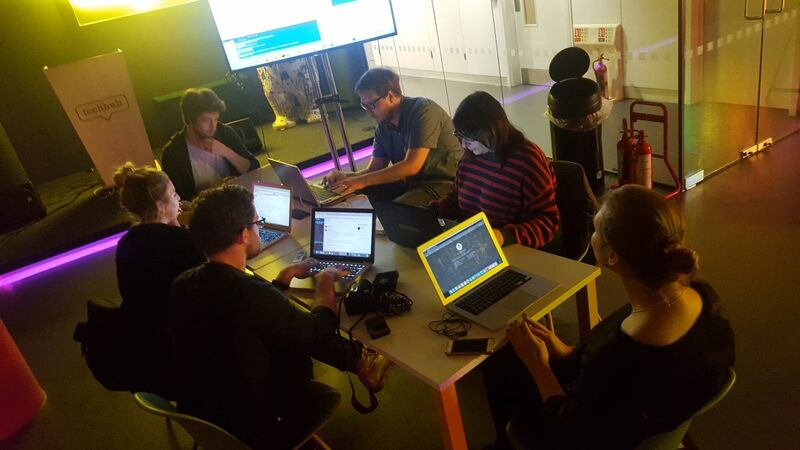 We were briefed to design a workshop to teach journalists to hack a code in two hours...not developers...journalists, not people that write code...people that write words. Simple, right? Well, it sure helps when you’re in a building surrounded by TechHub members who are some of the smartest developers working in the London Tech Ecosystem. It helps even more when one of those members, Chris Wallis, has attained the UK’s most highly regarded hacking qualification, and is now an ethical hacker, and Founder of Intruder, which identifies businesses’ cyber weaknesses before hackers do. Needless to say, we got Chris on board, pronto! So on Tuesday 10th October, we greeted four journalists, from Techradar, Loaded, Culture Trip, and DIY to our TechHub London Offices. 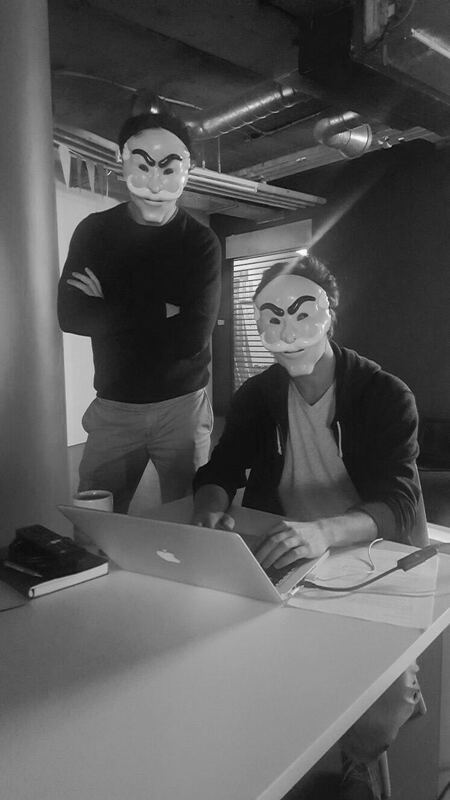 We gathered them together, and showed them down to our event space, where they entered a dark room, complete with hacker station, and a man in a hoodie wearing a Mr Robot ‘anonymous’ mask (we wanted to set the scene). Chris did an outstanding job of teaching the group the history of hacking (the enigma machine being one of the first famous examples!) and then went on to teach them the basics of hacking, running through principles, strategy, example code, and ending on them successfully hacking into a website (don’t worry, he’d set it up for the purpose of the challenge). Mission accomplished, journalists with no coding background were able (with Chris’ help) to hack into the mock site by the end of the 2 hour workshop. An engaging and fun experience to be part of, but with a serious message as well, one that TV Shows like Mr Robot help to highlight. Chris had a strict ‘don’t try this at home’ policy, and for good reason, though the technique he taught isn’t illegal, using it definitely is, and hacking does happen. His advice, be secure, always use two factor authentication whenever you can, and keep your passwords complicated - even if it takes slightly longer for you to access them yourself. Want to hear more about the experiences of our four journalists? Read up on their journeys here in TechRadar and The Culture Trip. Want to work from a space with likeminded tech product focused entrepreneurs and startups? Join our global community today. Do you want to join TechHub? Then schedule a tour at TechHub London if you are a scale up or TechHub @ Campus if you are early stage.